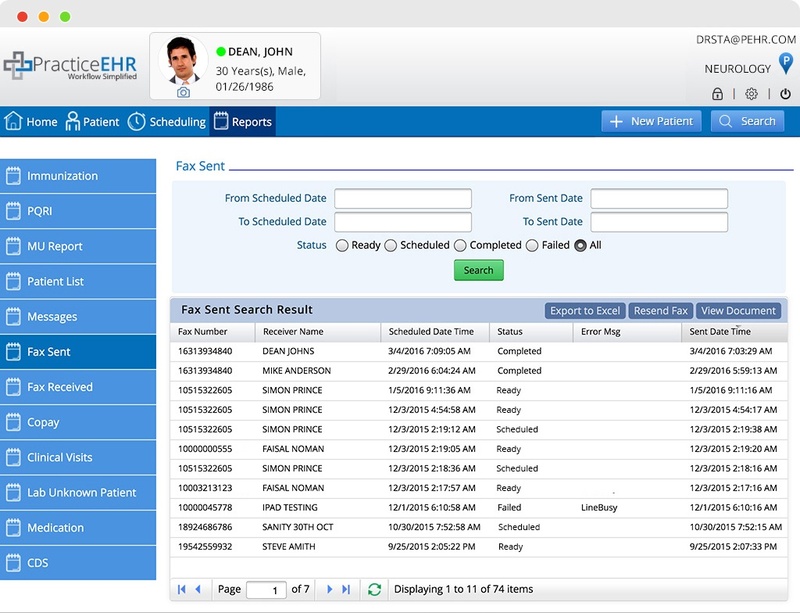 Practice EHR allows you to send and receive un-limited faxes from within the EHR. This capability greatly assists in minimizing paper use by reducing the need to print. You can use built-in fax capabilities to send and/or receive various types of practice documents, such as clinical charts, referrals, intake forms, etc. Faxes received are linked to the patient documents and become permanent part of the patient records. You can also select a patient document and send it via fax from within EHR. Minimize paper and ink cost. Let your staff focus on patients, not paperwork.